Amusement and Theme Parks have massive rides and large areas in which equipment is continuously in use. Depending on the season, most parks tend to be overcrowded by patrons looking for a good time. It is therefore mandatory that all safety standards and procedures are followed. Preventative maintenance is critical to maintaining the operations of the parks and Uplogs is unmatched in delivering superior CMMS solutions. UpLogs CMMS app is the solution. The responsive app helps you to keep track of all the ongoing maintenance work, verify regulatory compliance, and a host of maintenance management roles. Designed to help you manage, report, record, and analyze maintenance data, we help you keep up with all your maintenance needs cost-effectively. With one snap, Amusement parks, water parks, and Zoos maintenance teams are informed of defects and breakdowns that are required. A fast and efficient way to communicate needs with pictures, you receive details of the technician assigned the task, and after that reports are kept for easy tracking. Why UpLogs? With various CMMS solutions in the market, why UpLogs you may ask? - Our application allows intervening directly on the problems that can take place. Uplogs enables managers to communicate with technicians in the field. It also will make it possible for technicians to respond to urgent issues, and requirement changes instantaneously without having to go through red tape, paperwork and office visits. It, therefore, provides for the mobilization of resources geared towards faster emergency repairs. - Report machinery updates or services with the maintenance ticketing system, keep track of all the machinery updates and services. Keep up to date with detailed reports and regulatory compliance. - Set up and assign work orders. 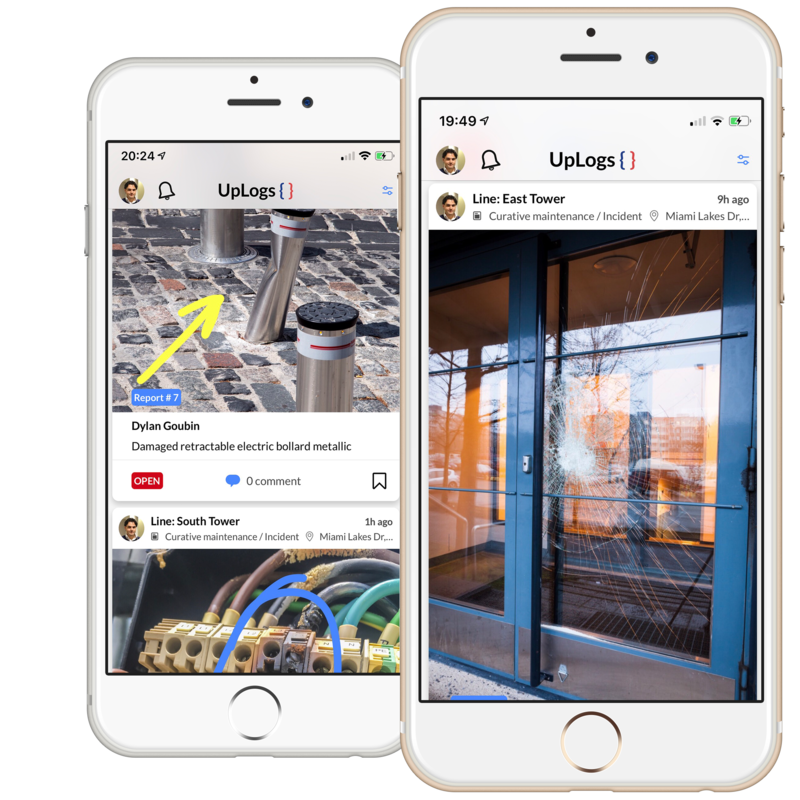 Using UpLogs, take a snap, set up and assign a work order to a technician. We are user-friendly, and we equally make it easy to assign tasks to your technicians, follow up and receive reports on work orders completed. - Correct technical maintenance issues. Spot, communicate, correct. Our system is designed to work in steps that are easy to follow and implement. - Improve communication with staff. Our interactive mobile maintenance app encourages internal communication among staff members. It promotes information sharing and workforce engagement. Improved communication leads to higher productivity and reduced conflict. - Ensure more significant attention to avoid dangers. As emergency repair needs are communicated instantly, need is identified, repairs and maintenance can then be done efficiently and fast. With the reduced protocol, maintenance needs are quickly identified, and resources adequately mobilized for the successful completion of repairs or maintenance services.